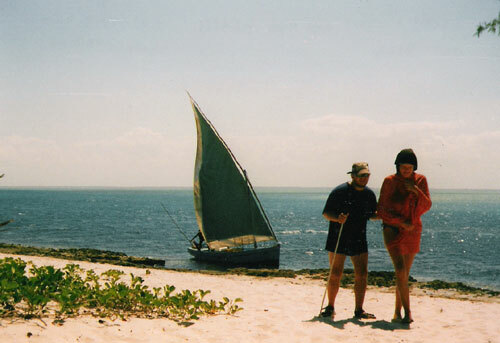 Tony and Becky on the beach, Bazaruto Islands, Mozambique. 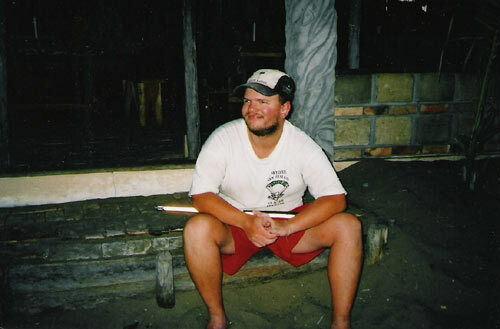 Tony on a trip to the Bazaruto Islands, Mozambique. 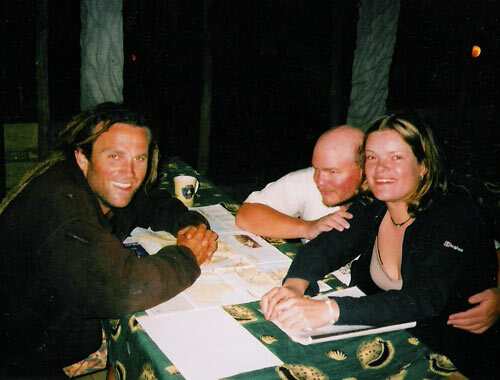 Becky and Tony, Bazaruto Islands, Mozambique. 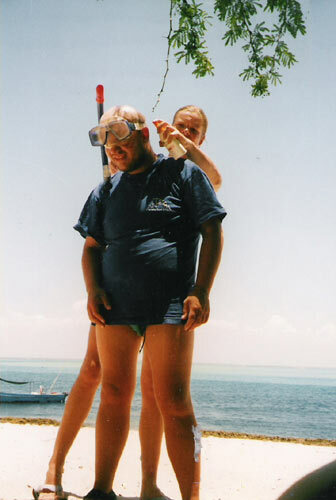 Becky spraying suntan lotion on Tony before a snorkelling attempt. Bazaruto Islands, Mozambique. Mike, Tony and Becky at Fatimas. Tofo, Mozambique. Tony on the steps at Fatimas. Tofo, Mozambique.